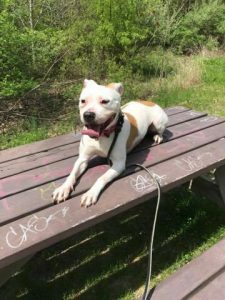 May 2017 – Town & Country K9 ResQ, Ltd.
Buttercup spent 877 days in a city shelter. Currently living with our friends at Allied Dog Training. Needs a few meetings to warm up to strangers. She likes submissive dogs about her size. We’re pretty sure Buttercup and Autumn are sisters! !